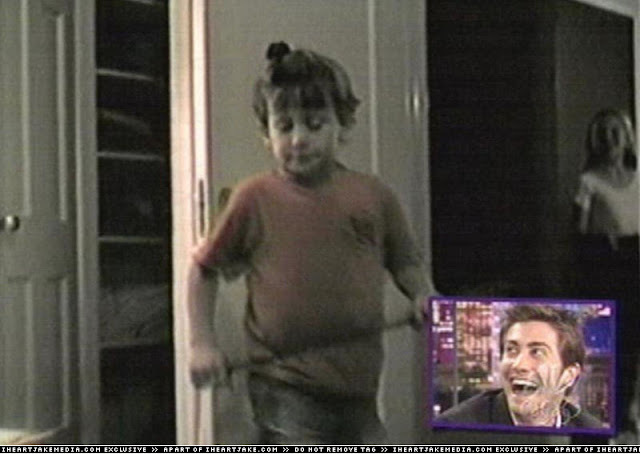 Jake Gyllenhaal! He sure is a studly, full-grown adult male. But he wasn't always that way. Much as we'd like to think that he sprang forth into existence in his current form, this is sadly not so. Like the rest of us, he was once younger, and has gone through some awkward stages. But what makes Jake special is that unlike us, his youthful awkwardness is documented in photographs available for all the world to see! 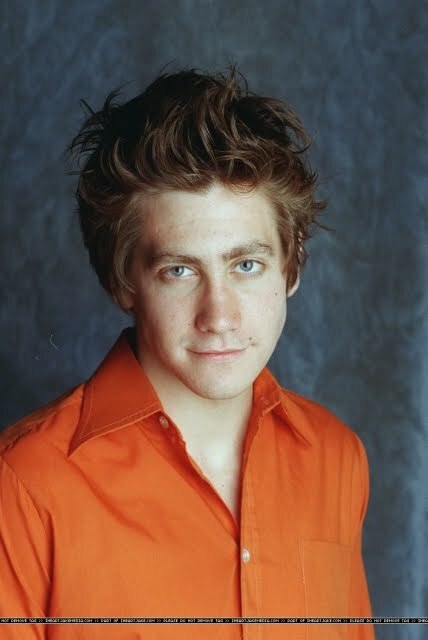 1980 - Jake Gyllenhaal is born. We have no photographic evidence to prove it, but his continued existence suggests that his birth did, indeed, happen. 1991 - A 10-year-old Jake is cast in City Slickers, giving the public their first glimpse of the boy who would one day be Jake Gyllenhaal. Barely into the double-digits, Jake already shows signs of being a heartbreaker. 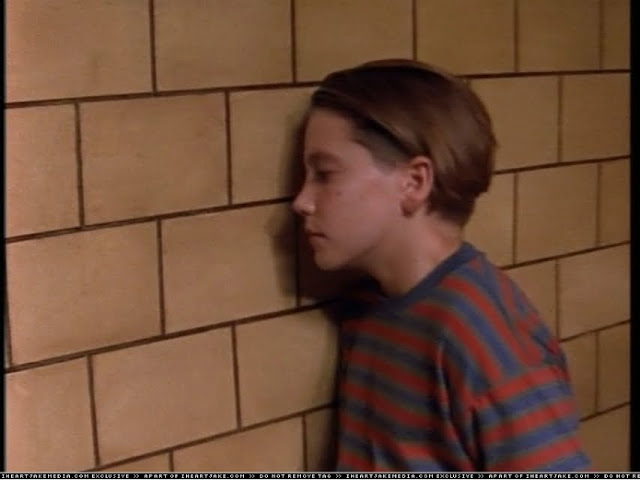 1994 - Father Stephen directs an episode of "Homocide: Life on the Street," and, by a totally random and unrelated coincidence, a 13-year-old Jake guest stars. He's such an awkward child that Stephen insists he hide his face in a wall for most of the time he's on screen. 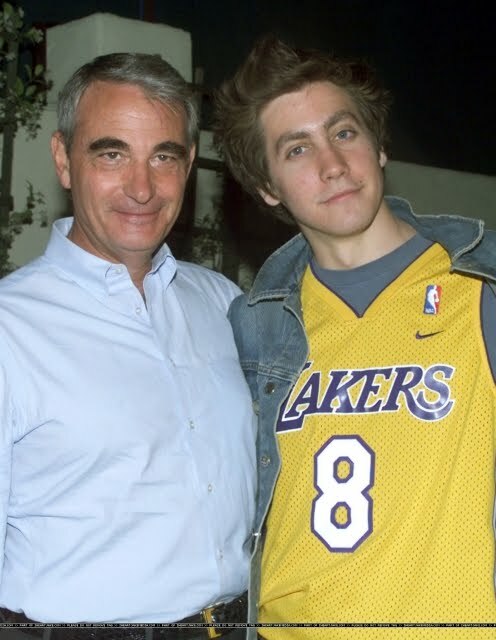 Sometime in the 1990s - Jake graduates to puberty! Experimenting with bold wardrobe choices, he walks into this photo shoot, which is undated and no one knows what it was for, except to embarrass him later in life. 1999 - Watch out, he's legal! At 18, Jake lands his first lead role in the movie October Sky. Despite this break, he still looks more like your lab partner from sophomore biology than a movie star. 2001 - But it goes up! As his career begins to take off, Jake thinks, 'Hey, maybe I'll go goth for a while, because that makes sense.' Indeed, despite the dye job, the new look is an improvement. 2003 - FINALLY IT STARTS TO COME TOGETHER. 2004 - 2009 - Jake makes a bunch of movies and develops the ability to grow facial hair. And that, my friends, is everything you ever needed to know about Jake's progression to adulthood. WHEW. Indeed, it was a long and difficult journey as he grew into his man-self...but as the saying goes, anything worth doing is worth doing well. My dear friend, you made my night, and with a few photos even I have not seen! But your narrative is priceless and I bow down to you! There was definitely a sense of satisfaction when I hit "publish" on this one. ;) At last, my encyclopedic knowledge of the IHJ archives comes to good use! Call me crazy, but my thirteen year old self would've gone bananas over thirteen year old Jake. So, would anyone agree that Jake was super cute when he was 7, but is definately without a doubt getting better with age??!! 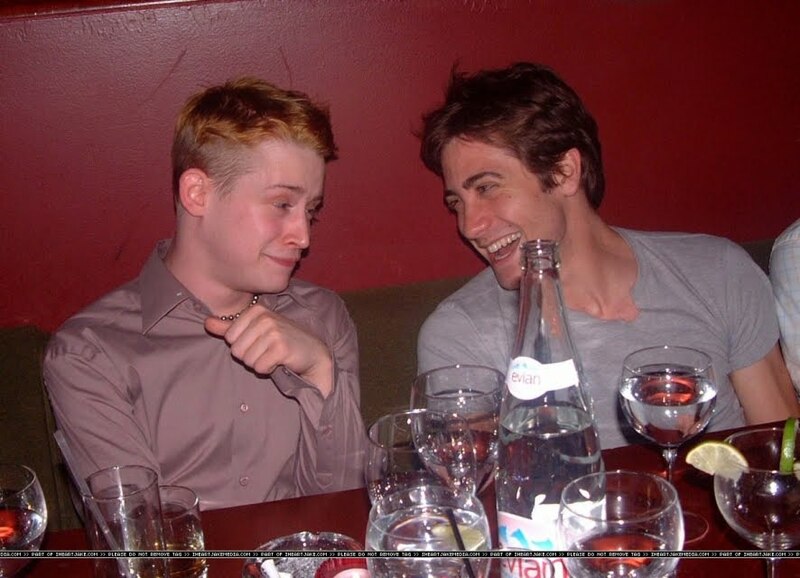 2004 Jake wasnt so bad either! hahahaha. i love this! great job on the captions and photos. is jake g's dads twitter for real? Ha! Ha! Ha! This is awsome! And you're so right about that Born in the USA video, how come no one recorded it, I'd love to see it. Loved the pics :) Yes, Jake is definitely getting hotter with age..
Well spotted Leslie. I think i might have to agree with you a little bit! Im definately not complaining tho!!! I don't think he got a nose job. I just think it's better angling, lighting, and makeup. IMHO of course. Oh, and *bows x 1000* Thank you for this wonderful post. Made my day! PS.Once again sorry for my english! ahhh I'm loving the goth moment in his life... COR!!!!! I'm a goth, and WOW... Tho I'm not liking the coat at all. Lol it kinda looks like he bought it in like IKEA... Do ikea sell coats??? Ah I've just confused myself! Either way, Jake can pull of anything ! I definitely think both Jake and his sister had their schnazes done, Maggie at least twice. but Jake definitely did have a nose job. I just don't see the attraction for him, I have never found him attractive at all. There's something odd about his face. I think him and his sister just both have something odd about their face. monkey face? I don't see how he can be a heartthrob. ^^^ That's such a bizarre and random comment to leave on a Jake Gyllenhaal website.